Filmmaker Richard Kelly was only 25 when he directed his standout debut feature in 2001. 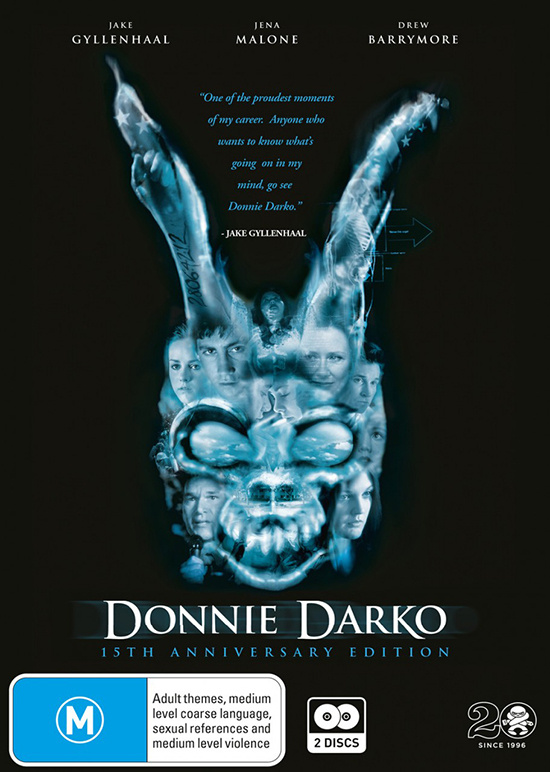 Donnie Darko might have confounded box office audiences but has become a cult classic in the ensuing years, and deservedly so. It’s a remarkable film that effortlessly traverses the genres of high school comedy, psychological horror, science fiction and romance as it moves through 28 days in the life of its troubled teenaged protagonist. Intelligent, cynical Donnie (Jake Gyllenhaal) is tormented by visions of a nightmarish rabbit-figure, “Frank,” who makes cryptic utterances and incites Donnie to acts of criminal destruction.